Son of worker, stoker in navy. Organiser of revolutionary sailors in 1917 with Reichpietsch. Sentenced to death, shot in September 1917. Joined Bolshevik Leninist Party of India in Bombay during the war. Worked at the All-India General Insurance Company, Ltd. in Fort, Bombay. Son of socialist carpenter. Trade unionist in 1906, in SPD (Sozialistische Partei Deutschlands, Social-Democratic Party) in 1907. Itinerant worker in Europe and North Africa. Conscript during 1914–16. Worked at Leuna-Werke, vice-chairman of workers’ council in 1918. On USPD Left. In VKDP (Vereinigte Kommunistische Partei Deutschlands/United Communist Party of Germany) in 1920, delegate to the Second Comintern Congress. Played important role in March Action, in which he opposed KADP (Kommunistische Arbeiterpartei Deutschlands/Communist Workers Party of Germany ) ’s initiatives. Represented ECCI in France and Belgium during 1921–2. In 1923 candidate member ofKPD (Kommunistischen Partei Deutschlands/German Communist Party) Central Committee. Member of centre tendency, then ‘conciliator’, capitulated in 1929, given subordinate functions. Attacked by SA in 1933, left for dead, blinded in one eye, succeeded in emigrating, took refuge in USSR. Arrested in 1937, freed in 1939, rearrested for having disclosed tortures to which he had been subjected. Reintegrated into KPD in 1940, coopted to Central Committee in 1942, returned to Germany in 1945, occupied important posts in SED and DDR, ambassador to Prague. Brother of Bernhard. Business studies, worked in SPD (Sozialistische Partei Deutschlands, Social-Democratic Party) bookshop, joined Party in 1904. Full-timer from 1907. Student at Party school in 1911. In USPD in 1917, commissar of workers’ and soldiers’ council in Halle-Merseburg in 1918, leader of strike in Central Germany in 1919. On USPD Left, in VKDP (Vereinigte Kommunistische Partei Deutschlands/United Communist Party of Germany) 1920, twice delegated, in 1921 and 1922, to Moscow, where he presented draft Comintern constitution to its Fourth Congress. Defended March Action, then Moscow Compromise. Joined centre tendency, capitulated in 1929. In 1933 emigrated to Czechoslovakia, France, Britain. Returned to Germany in 1945, held important posts. Criticised in 1953, demoted to subordinate functions until his death. Hungarian Jew, journalist and writer. Correspondent on the Spanish Civil War and wrote extensively on the nature of dictatorships. Member of the German Communist Party from 1932-38, but quite after the Moscow Trials. German psychologist and co-founder, with Wolfgang Köhler and Max Wertheimer, of the Gestalt school of psychology. First introduced by Ch. von Ehrenfels (1859 - 1932), "Gestalts", meaning "organised wholes", are deemed to be primary in relation to mental sensations. Such sensations are formed under the influence of an intrinsic faculty to create simple, symmetrical and closed figures according to immanent subjective laws. Koffka was associated with the University of Giessen (1911-24) and served as a subject (1912), along with Köhler, in experiments on perception conducted by Wertheimer. Their findings led Koffka, Wertheimer, and Köhler to stress the holistic approach that psychological phenomena cannot be interpreted as combinations of elements: parts derive their meaning from the whole, and people perceive complex entities rather than their elements. Gestalt psychology drew upon the methods of Edmund Husserl and the ideas of Ernst Mach and the Vienna Cricle. Koffka conducted a great amount of experimental work, but he is perhaps best known for his systematic application of Gestalt principles to a wide range of questions. One of his major works, The Growth of the Mind (1921), applied the Gestalt viewpoint to child psychology and argued that infants initially experience organised wholes in the barely differentiated world about them. In 1924 Koffka began a series of visits to several American universities, and in 1927 he was appointed professor of psychology at Smith College in Northampton, Mass., where he remained for the rest of his life. A major work, Principles of Gestalt Psychology (1935), dealt with a wide range of applied psychology but contributed mainly to the study of perception, memory, and learning. Son of worker, painter. Member in 1911 of Socialist Youth, in SPD (Sozialistische Partei Deutschlands, Social-Democratic Party) in 1915, joined Spartacus League, led its youth organisation in Berlin 1916. Sentenced to six years imprisonment in 1917. Co-founder of Communist Youth, member ofKPD (Kommunistischen Partei Deutschlands/German Communist Party) on its foundation, held national and international responsibilities. Appointed head of trade-union department of Zentrale in 1923. Expelled in 1928 as rightist, member of KPO and then SAP. Arrested, released, led underground SAP. Arrested in 1933, sentenced to three years imprisonment. Emigrated 1937. Lived illegally in Denmark during War, returned to Germany postwar, joined SPD. French philosopher who introduced a study of Hegel to post-World War Two France. Born in Russia and educated in Berlin, he lectured on Hegel's Phenomenology of Spirit at the Ecole des Hautes Etudes in Paris from 1933-1939. After World War Two, Kojève abandoned philosophy and took up an Economic planning post representing France in the Common Market, until his death in 1968. Kojéve's reading of Hegel focussed on the “master-slave dialectic”, and he re-cast the whole of Hegel's system around the concept of Recognition exhibited in the Master-Slave dialectic. The dialectic of recognition occupies only one small section in the Phenomenology, but in Hegel's first systematic work, System of Ethical Life (1802), recognition plays a central role in the development of mediation. So in this sense, Kojève may be said to be true to Hegel. With the rise of the social movements after World War Two, this theme became the central axis of Continental philosophy. Kojève traces Hegel's philosophy from Aristotle and Plato, and understands Hegel's dialectic as a summing up of the development of objective products of human culture, rather than the work of Spirit. Kojève insisted that history had come to an end and that now nothing really new can happen in the world - reality has become rational. Kojève carried this conclusion into practice by abandoning philosophy and devoting the rest of his life to economic planning. See his 1934 Introduction to the reading of Hegel. Cadet. Professor of Constitutional Law, Moscow University. State Comptroller under Kerensky, August September 1917. Arrested and imprisoned by Bolsheviks November 1917. Later killed by sailors. Member of Bulgarian Social-Democratic Party in 1897, a leader of ‘Narrow’ faction, pro-Bolshevik. Deputy in 1913. Co- founder of Bulgarian Communist Party in 1919. Represented ECCI at Jena Congress in 1921. Member of ECCI from December 1922, then of Comintern Presidium and Orgbureau. Finally took refuge in Moscow after insurrection in Bulgaria in September 1923. Lived in USSR during 1923–45, worked in apparatus of Comintern and Russian Communist Party. Deputy Prime Minister, then Prime Minister in Bulgaria after War. Vice-Admiral in command of the Russian Black Sea Fleet, later supreme ruler and commander-in-chief of Siberia (and through military force, aimed at all Russia). Kolchak was was admired by the aristocracy and bourgeoisie alike for possessing the “romantic" traits of chivalry and duty to the King above all else, as the servant of god. As a young officer Kolchak had taken part in the dangerous Arctic explorations, and had fought with great bravery in the defense of Port Arthur during the Russo-Japanese war. After the defeat of the Russian Navy, he led a small group of officers who reorganized the leading brass of Russia's Navy. His thorough and efficient work over the next decade were awarded with a promotion to Rear-Admiral at the very young age of 43. By June 1916, when he was forty-four years old, Kolchak was appointed Vice-Admiral in command of the Black Sea Fleet, where he received acclaim for courage and efficiency in setting minefields close to Turkish shores. When the Soviets grew in strength after the February Revolution , Kolchak refused to remain in the Navy and shortly emigrated to the United States and England. He returned to Russia after the October Revolution , landing in the Far Eastern Siberian port of Vladivostok. Kolchak publicly proclaimed his full support of England in its efforts to overthrow the Soviet government and was assigned to coordinate the military maneuvers of the various interventionist forces in the region. Ataman Semenov, also operating in the region, ignored Kolchak as did the Japanese. Kolchak was undeterred, and set plans to gain command of the White Army in the Don region, but as he reached Omsk he was persuaded to join the newly established White government ("the directory") as Minister of War. Shortly after his joining, on November 18 1918, while visiting the soldiers at the front, his czarist comrades overthrew the directory and appointed Kolchak supreme ruler and commander-in-chief, establishing an autocratic military dictatorship. Landlords, accompanied by soldiers, took from the Siberian peasants what they had “seized for themselves". In factories, factory owner's returned with soldiers to forcibly remove workers' ownership of the factories. Untold numbers of workers and peasants were shot, beaten, raped, and imprisoned. All political factions who opposed Kolchak's dictatorship were imprisoned, including the right-wing of the Socialist revolutionary party, who at one time had been a part of the directory. The peasantry and workers of Omsk revolted on Dec. 21, 1918, outraged by the brutality of Kolchak and his overthrow of the directory. A number of imprisoned right-wing Socialist revolutionaries were successfully liberated by the revolting population. To suppress the revolt, Kolchak ordered soldiers to open fire, killing over 300 unarmed civilians. The people were successfully dispersed. In the weeks following 166 civilians were shot dead for having ties to instigating the revolt. The Socialist revolutionaries, who had been freed from imprisonment, gave themselves up in fear of reprisals. They were promptly taken to the banks of the Irtysh River, and shot. Kolchak's military campaign was no less brutal. In late December 1918 a section of the Siberian Army, led by General Gajda under the command of Kolchak, marched westward over the Ural mountains and captured the city of Perm. The Red Army responded by a heroic crossing of the Volga River, liberating the towns of Ufa and Orenburg (directly south of Perm). Kolchak then unleashed a full offensive into southern Russia from Perm. His 40,000 strong Western Army pushed back the Soviet 5th Army which held the city of Ufa, with less than 10,000 men and women in its defense. After months of courageous fighting, the Soviet 5th Army was forced to fall back, and on March 13 Kolchak's Army occupied Ufa. In the following weeks Kolchak continued to drive his armies farther into the heart of Russia, separating them to capture the two major ports on the Volga River: Kazan, 450 kilometers northwest of Ufa, and Samara (later renamed Kuybyshev), 400 kilometers southwest of Ufa. In the North, the remnants of Kolchak's Northern Siberian Army left Perm and marched west, towards the large industrial city of Vyatka (later renamed Kirov), some 400 kilometers to the west. If successful, Kolchak would establish a strong Eastern front, and would only have to rely on his British collaborators in the North, the French in the South West, and Denikin in the South to ensure the strangulation of the Soviet government from the peoples of Russia. Kolchak's advances, however, were halted not only by the Red Army, but also by the Russian peasantry who would not tolerate Kolchak's brutality. As most of his forces were now West of the Urals, his dictatorship in Siberia began to crumble. While his officers in Siberia continued their brutal suppression of the peasantry, the soldiers under their command refused to carry out orders. The supply lines to Kolchak soldiers in the West began to falter, and their morale began its steady decline, with soldiers defecting to the Red Army everyday. By the end of April, the Red Army began its counteroffensive. 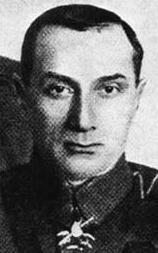 Led by Mikhail Frunze, Kolchak's Western Army slowly began to fall back. By June 9, the city of Ufa was liberated again, and Kolchak's armies were forced to flee east of the Ural mountains. The Red Army was relentless. Kolchak's forces had bordered themselves up in the city of Chelyabinsk, but they could not withstand the force of the Red Army. By November 14, 1919, almost a year to the day that Kolchak had established a military dictatorship in Omsk, the Red Army, with the help of the revolting peasantry and the soldiers under Kolchak's command, liberated the city of Omsk. In January, 1920, Kolchak proclaimed Denikin his successor as leader of the white armies. Kolchak retreated east, attempting to flee Russia through Vladivostok, but was killed by the Red Army. Educated Presidency College, Calcutta. Joined Bolshevik Leninist Party of India. Active in All-Bengal Students’ Congress, the Bengal Student Federation, and Chhatra Sangram Parishad [Students’ War Council], 1947. Arrested for protesting “Black Bill,” 1947. 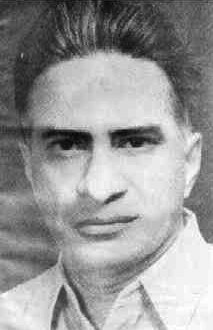 Vice President, Paschim Banga Patrika and Press Workers Union, 1948. Editor, Inquilab, 1947-48. Later joined the Judiciary and became District Judge at Cooch Behar. 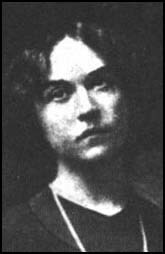 Russian Social-Democrat from 1890s, active in international Socialist Women's movement, and a member of the Mensheviks before 1914. Elected to Central Committee in 1917 and Commissar for Social Welfare in the Soviet government. With Bukharin in 'Left Communist' faction, opposed signing of Brest-Litovsk Peace (Lenin was for signing immediately, Trotsky for delaying in hope of a revolution in Germany, the WO advocated a revolutionary war against Germany); leader of the Workers Opposition. Sent to diplomatic posts in Mexico and Scandanavia. Sympathised with the Left Opposition, but subsequently 'conformed'. Founding member, Mazdoor Trotskyist Party, 1942. Jailed, 1942; escaped and absconded, 1943-44. Arrested in connection with a sabotage case, March 1944. General Secretary, MTP, 1947. General Secretary, Indian Vegetable Products Workers Union, 1948. Journalist and acting editor, Free Press Journal, 1948-1976. Co-editor, Socialist, 1948. Provisional Central Committee, MKP, elected 1955. Central Committee, RCPI, elected 1960. Editor, New Perspectives and Clarity . Chairman, Bombay Union of Journalists; President, Maharashtra Union of Working Journalists; Secretary General, Indian Federation of Working Journalists (1964-71); President, IFWJ, 1971. Central Committee, Revolutionary Communist Party of India, 1960. Elected to IEC of Fourth International. Member, Samajwadi Party-Bahujan Samaj Party. Author: The Kennedy Asassination (1964), Bhopal, from Hiroshima to Eternity (1985), and Manu to Ambedkar (1994). Economist and professor at the Agricultural Academy. Espoused controversial theory of fifty-year, self-adjusting economic cycles in the 20s. Allegedly the head of the illegal Peasants Labor Party, he was later exiled to Siberia. Worker, self-educated, became bookseller. In SPD (Sozialistische Partei Deutschlands, Social-Democratic Party) in 1904, settled in the Ruhr. Conscript during 1916–18, joined Spartacus League. In KPD(S), which he led in Essen from its foundation, played important role at head of Ruhr Red Army in 1920. Member of Central Committee, Orgleiter of Oberbezirk West in 1923, coopted to Zentrale in May as leader of Left. Treasurer of Zentrale in 1924, expelled after 1925 with left, later fate unknown. Industrialist, textile tycoon. Progressive Block 4th Duma. Minister of Commerce and Industry March-June, and October-November 1917. Arrested in Winter Palace, November 7th 1917, Emigre. Siberian Cossack. Commander-in-Chief of the Russian Army after the February revolution. Came through the military ranks under Kerensky. Kornilov was later accused of treason by Kerensky, and consequently attempted to overthrow the Provisional Government through inciting the armed forces. He met with no success in rallying actual support. Commander South Western Front 1917. Replaced Brussilov as Commander-in-Chief under Provisional Government, July 1917. In September 1917, General Alekseev asked Kornilov to step down from his post. Kornilov cooperated, and was placed under house arrest. 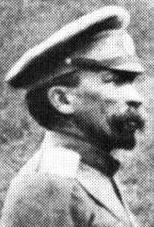 Kornilov escape within acouple months, and traveled to the Don, where he joined Aleeksev to lead to White Army. Kornilov died in battle with the Red Army April 18, 1918. Student of law, economics and philosophy at Munich, Berlin and Jena; a member of the “Free Student Movement"; studied in London 1912 - 1914, where he joined the Fabian Society and was strongly influenced by the syndicalist movement. In 1913 he married Hedda Gagliardi, with whom he collaborated in political and theoretical work throughout his life. Korsch returned to Germany on the outbreak of war; he opposed the war but was conscripted and although he never carried a weapon, was twice decorated with the Iron Cross. He returned to lecture at Jena and in 1917 joined the Independent German Socialist Party (USPD), a left split from the social-chauvenist SPD, and when the USPD split, Korsch joined the Communist Party (KPD). Korsch participated actively in the revolutionary ferment of those years. During the height of the workers' uprising Korsch wrote hypothetical economic programs for a national economy based on workers' councils, emphasising workers' management of enterprises. After the decline of the movement, Korsch began to emphasise the need for ideological struggle, and criticised the objectivism of the Marxism, which he saw as having been inherited uncritically from the leadership of the Second International. At the time Korsch published his Marxism and Philosophy, Korsch was a member of the Thüringian Provincial Parliament for the KPD and became Minister for Justice, with the specific aim of facilitating a planned Communist uprising. He also held a Reichstag seat until 1928. His book came off the press almost simultaneously with Lukacs' History & Class Consciousness, by a fellow leaader of the Hungarian Communists, and sharing very similar themes. Lukacs and Korsch were denounced as “professors" at the Fifth Congress of the Comintern, the Congress at which Stalin consolidated his power in the USSR. The “left" leadership of the German Party was replaced by Thälmann and his group under the banner of a “stabilisation." Korsch opposed this move and set up a faction publishing a magazine 'Left Resolutes', calling for a more combative line based on workers' councils. He also opposed the Soviet Union's New Economic Policy and argued that the Comintern had become an instrument of Russian foreign policy. In the crisis that followed, Korsch tried to hold a middle position between the Comintern and a move to form a new party, but he found himself isolated. After 1928, he continued to write, and began a close friendship with Bertolt Brecht which remained until Brecht's death in 1956. He fled Germany on the night of the Reichstag fire in 1933. 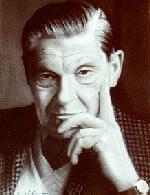 Korsch continued to write on Marxism including the origins of Marx's thought from Hegel. From 1936 until his death in 1961 he lived in the US, working at the Institute for Social Research and collaborating with Kurt Lewin. Photos of the execution were discovered some time later on the body of a dead German officer. Zoya’s body was exhumed from her burial site in Petrischevo and moved to Moscow. 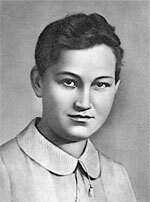 On February 16, 1942, Zoya Kosmodemyanskaya was posthumously awarded the title of “Hero of the Soviet Union.” She was the first woman to receive this distinction. Monuments to Zoya still stand in St. Petersburg (Leningrad), Tambov, Dorokhov, and Petrischevo. Prof. D. D. Kosambi (as he was usually known) was an outstanding intellectual with a vast range of interests and expertise. His father was an eminent scholar of Buddhism. After some initial schooling in India and then abroad, young Kosambi was trained in Mathematics, History and Languages at the Harvard University, where his father had taken up a teaching assignment. Subsequently he made his mark as a mathematician, statistician, geneticist, numismatist, Indologist, historian and political theorist and commentator – all rolled into one. He was also a polyglot and widely travelled. Prof. Kosambi is, however, best known as the pioneering, and arguably the most eminent, Marxist to apply Historical Materialism to the analysis of ancient Indian civilisations and societies. Some of his writings are available online at http://www.arvindguptatoys.com. Born Hindagoda (Badulla District, Uva), Ceylon, son of James Kotelawala, the brother of Sir Henry Kotelawala. Educated Uva College,Badulla, and Trinity College, Kandy, and Law College, Colombo. Recruited to Youth League by Terence de Zylva. Participated in Suriya Mal movement in Kandy. Founding member, Lanka Sama Samaja Party, 1935. Joint Secretary and Member of Executive Committee, LSSP, 1935-40. General Secretary, LSSP, 1940-42. Jailed, 1942-45. President, Uva Motor Workers’ Union. Vice President, All-Ceylon Estate Workers Union.. Member of Parliament, 1947-60. Left LSSP, 1969. Appointed Ambassador to USSR, 1969. Chairman, Ceylon Transport Board, 1975-77. Member and later President of the Sri Lanka Mahajana Party, 1984-92. Author: “Amataka Novana Satahan” [Memorable Events], in Samasamaja Jayanthi Kalapaya [Samasamaja Jubilee Issue] (1960).